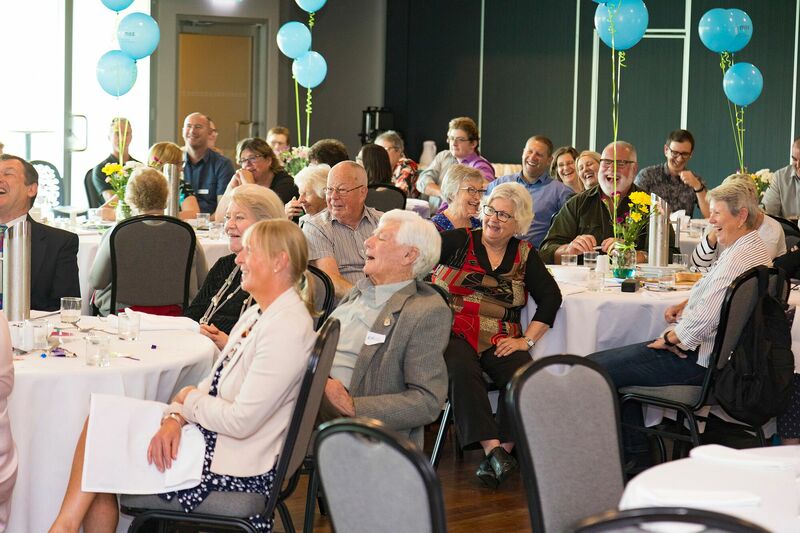 MSS held their AGM and Celebrations at Club Taree on Thursday 18th October. The proceedings started with Welcome to Country delivered by Mave Richardson AM PSM, on behalf of Aunty Barbara Clark OAM, who unfortunately could not attend. Councillor Kathryn Bell spoke about the positive impact MSS services have on so many people in different walks of life across all parts of the council area she represents. The Annual Report was presented with key speakers President Michael Burgess, CEO Nikki Clancy, Treasurer Ian Dyball and Manager, Administration and Finance Steve Panos expanding on their written report. Mave Richardson AM PSM then took the opportunity to share with the audience the history of her long tenure on the Board of Directors spanning back to the inception of MSS. Mave decided to step back from her role on the Board this year. 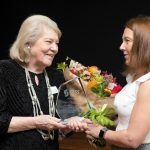 The Board of Directors recognised Mave’s incredible contribution over three decades by making her a Patron of MSS and showing their appreciation with a beautiful bunch of flowers and a plaque. Jillian Dunn, Paul Lewers, Ken Loftus, Judith Richardson, Emma Pike and Michelle Wilkes as Ordinary Directors. Nikki Clancy – Secretary (non-voting and appointed at the first official Board Meeting after the AGM). After a delicious lunch, the audience was treated to some excellent entertainment by local comedy hit, Andy Saunders, whose humour and fantastic storytelling had everyone in stitches. What a great way to finish the day!